Had a flood earlier this year and these guys came to clean our vents after the mess was cleaned up. Casey and Ken were super friendly, easy going and did great work. Thanks! Ryan Couch was a pleasure to deal with. His crew were amazing. Can't say enough good about these guys. Very professional. Very happy that they suggested a dryer vent inspection. Saved us big time. I found the customer service from Crag and Joe exhalent. I would have no problem recommending your service to anyone. I feel a lot better now I know that I have clean air in my home, and that my Dryer vent is clean, with no danger of a fire. Exhalant job guy's. Thank you very much. They provided excellent service! Very satisfied with the work they did and they took their time and didn't rush which made me happy! Definitely recommend Advanced Air Quality!!! Thank you for providing Great Service!!! We decided to get the vents cleaned in our house and Advanced air was the number one company to go to. They did not disapoint. They did a great job and answered all my questions. Several months later, we bought a new house (unplanned) and had to get the vents cleaned. The amount of junk and dirt they found in our new (old house) was terrible. The technician banged on the ducts and you could here the dirt fall. Now we know the ducts are cleaned. Good job. Great service. Thanks. Excellent service from start to finish. Amanda in booking is pleasant and efficient. The two techs who came to my home, Syd and Jarett, were prompt, efficient and respectful. In fact, they were early and called ahead to see if this would work for me. The job was completed in a professional manner with very little residual dust on my floors. Very pleased with the overall service. Would definitely recommend this company. 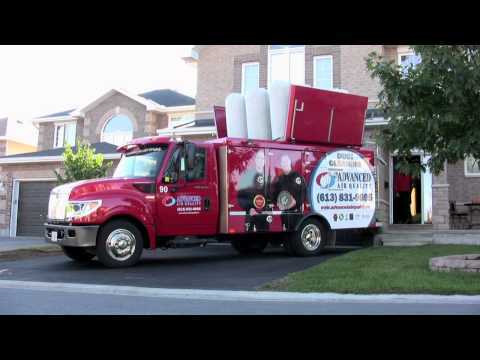 Advanced Air came to clean my ducts, and dryer vent. The service technician (Ken) was knowledgeable, professional, friendly and patiently answered all of my questions. Excellent service. Highly recommend . Ken from Advanced Air did a superb job explaining what is required to clean the air ducts on my 100-year old home in the Glebe. He also made some excellent recommendations on next steps for my dryer vent. We were very unhappy with the service that Advanced Air Quality provided. They were not out first choice but we wanted the ducts to be cleaned before we moved in our new house. When they came and did the cleaning they seemed very unprofessional. They left dirt outside every vent, they damaged 3 return vent covers. They blew on the vents of the chimney (which they should not had done) and a lot of ashes went into the living room, the good thing is that the house was empty. But then they asked my husband if he wanted the living room to be cleaned. It was obvious they had to clean and should not had even asked. Also they did not show the pictures of before and after, their excuse at the end was that we wouldn't be able to see. However days after Advanced Air Quality had come to do the job another duct company came by mistake (they forgot to cancel the estimation appointment) and showed us how dirty the main return duct was. I called Advance Air Quality to complain, the owner said that they would fix any issues and that they had better cameras to see. He sent his manager and only brought an iphone to take the pictures. His iphone was apparently not charged and it took him 30 minutes to take the picture. Finally he acknowledge the main return vent was still dirty and cleaned that. They also replaced the damaged vent covers. But we are still not sure if the rest of the house was done properly as he did not go and inspect that. We suspect it is still dirty as my husband trying to pass some cables one day from one vent took out a ball of dirt with insects. Price is the same as other companies we contacted but basically is equivalent to not have done anything. So I would definitely not recommend this company to anyone. Our experience with this company was superior. We have lived through 4 years of renovations in our current home and Advanced Air Quality has BY FAR the best customer service, problem solving, workmanship & cleanliness, communication, and price. They are extremely knowledgeable. In addition to the job they were hired to complete, Ryan pointed out and fixed a problem with heating issues in my son's room (2 different contractors and insulation companies could not figure out the problem). He and his associate also stayed an hour extra to figure out why my furnace wouldn't turn on after the duct job was complete. The issue had nothing to do with the ducts, and yet he conversed with our heating company by phone to save us the service call fee. We would not have had heat for hours if he had not taken initiative (on his anniversary no less, and with no extra charge to us). I have very high standards for the service to our home and they treated our home as if it was their own. We have absolutely every confidence in recommending this company. It is easy to see why they have won so many customer appreciation awards. 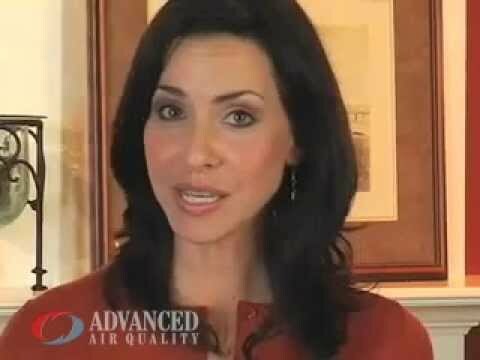 Advanced Air Quality Inc. has excelled in the indoor air quality industry since 1993. 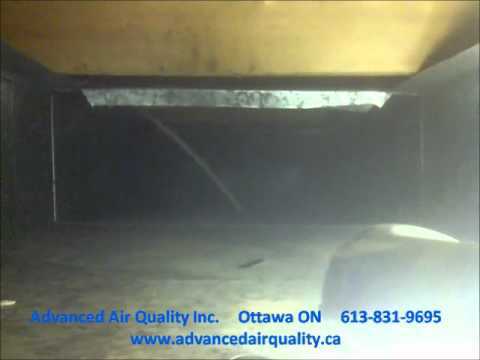 We have cleaned thousands of residential and commercial ventilation systems within Ottawa and the Valley. Our trained technicians are working 6 days a week, every week of the year. We don't just promise quality, we deliver. Please read below for some of the organizations that have recognized AAQ for outstanding customer service. 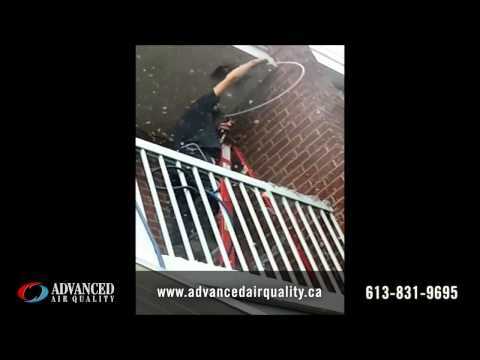 Advanced Air Quality Inc. has been awarded the 2014 TOP CHOICE AWARD for Duct Cleaning in the Ottawa area. 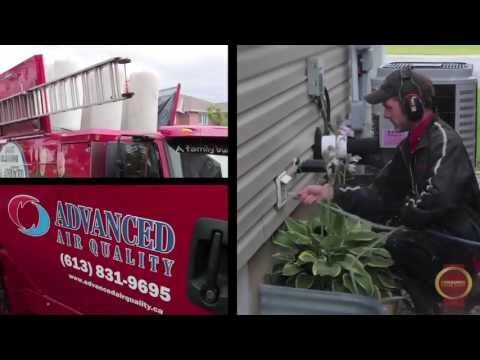 "Top Choice Awards (TCA) is honoured to announce that Advanced Air Quality Inc. is Ottawa’s Top Referred Duct Cleaner, as identified in the proprietary TCA Canada’s Top Referred 2014 Study." 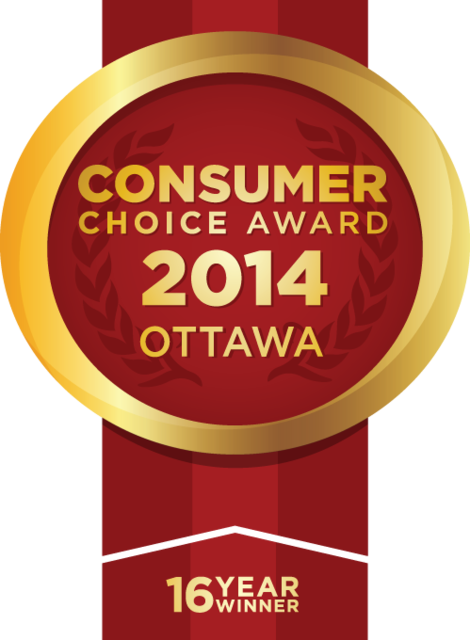 AAQ has also been awarded the 2014 CONSUMERS' CHOICE AWARD for Duct Cleaning in the Ottawa area. It is our devotion to quality that sets us apart from the competition. "The CONSUMERS' CHOICE AWARD is considered the seal of excellence. For recipients, the award not only constitutes the crowning achievement of their efforts, but more importantly it also represents the most valuable reward of all, the knowledge that they have earned the trust and loyalty of consumers." Advanced Air Quality has earned a place on the Honour Roll of the BETTER BUSINESS BUREAU serving Eastern Ontario. The Better Business Bureau has rated Advanced Air Quality A+. The BBB assigns grades from A to F with pluses and minuses. A+ is the highest grade and F is the lowest. The grade represents BBB’s degree of confidence that the business is operating in a trustworthy manner and will make a good faith effort to resolve any customer concerns. The BBBOnLine TRUSTMARK confirms that a business has been accredited by the BBB where it is based, has been reviewed to meet BBB's truth in advertising guidelines, discloses information about the business and its’ policies, follows basic privacy and security practices, and responds appropriately to any problems that arise. We are also proud to be members of the Heating, Refrigeration and Air Conditioning Contractors of Canada, the Canadian Federation of Independent Business, and the Canadian Condominium Institute - Ottawa Chapter.